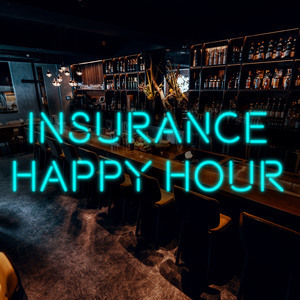 43 episodes of Insurance Happy Hour since the first episode, which aired on January 19th, 2018. We're back! Becky and Laird talk about ITC's big news from the last few months. Is Insurance Ready for Virtual Reality? Is the World? With the release of Ready Player One upcoming, Justin and Laird talk about how virtual reality could impact the insurance industry. Did Beyoncé Give Lemonade the Business? Did one of the top music stars in world "disrupt" Lemonade's search engine rankings? With all the talk of how millennials are critical part of the insurance industry, sit down with Heather Cherry and Laird as they explore the industry through a fresh set of eyes. What's going to happen with agents in 2018? We discuss five predictions for agents this year and whether we agree or not. Considering that the average age of an insurance agent is 59 and that only 4% of millennials see the insurance industry as a career option, we have work to do to promote the benefits of working in the insurance industry. Would you trust an autonomous car? In this episode we talk about autonomous cars and Laird's "research" project. In this episode, we talk about insurance carriers, data, and how they can use it better. Plus, find out what visionary Laird admires most and how Becky became an independent insurance agent customer. Laird and Becky talk about the insuretech movement and independent insurance agents. In the pilot episode of Insurance Happy Hour, we talk about five trends to watch in auto insurance this year. Plus, what Laird doesn’t want his auto insurance company to know and what trend Becky thinks will have the biggest impact on auto insurance.